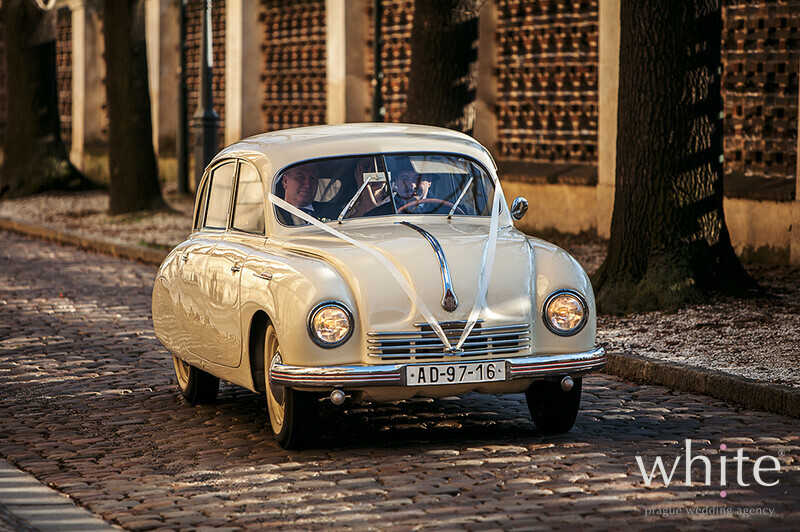 Transport might seem just like something necessary you need to arrange at your wedding but you can turn it into something fun. 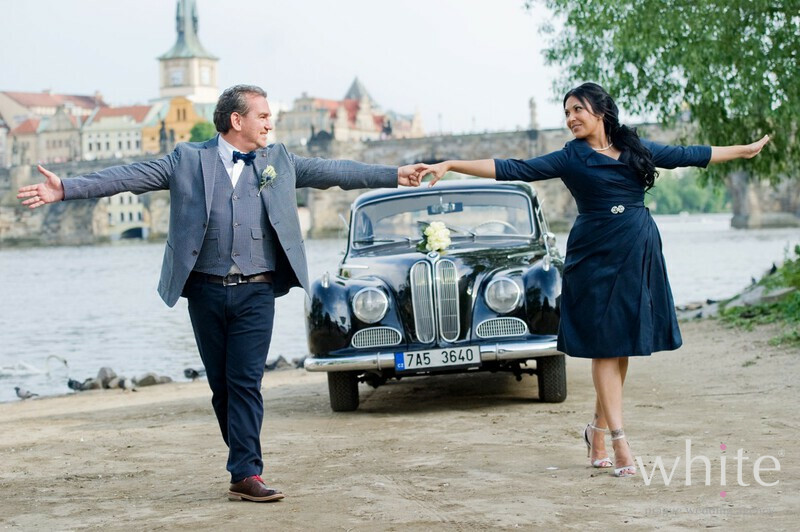 It does not have to be boring and despite in many cases the minibuses are the most convenient way of transport between Prague venues, your guests certainly do not have to feel as if they are on a school trip. 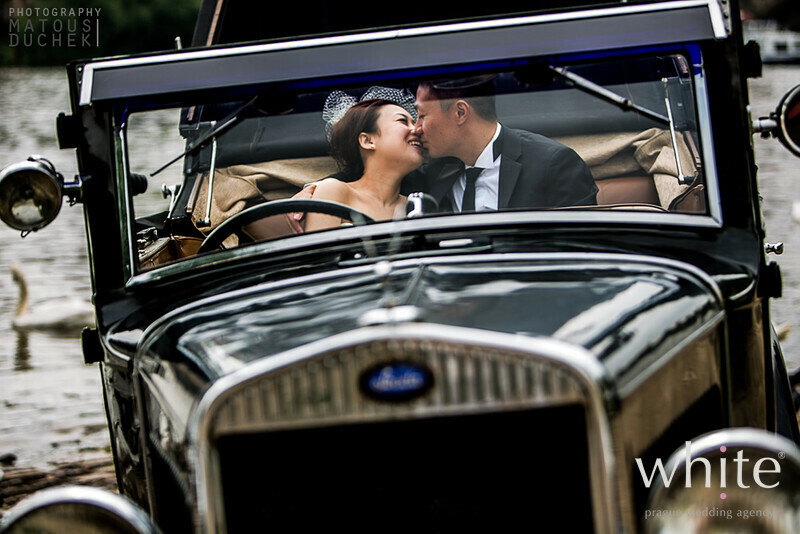 And as for you, the Bride and Groom, why do not treat yourself to something really special and arrive to the ceremony in style.. 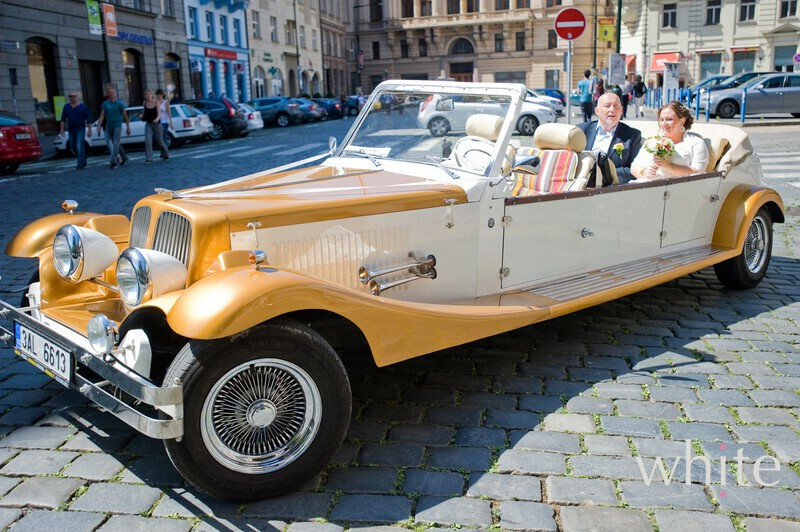 So what are the wedding transport options in Prague? 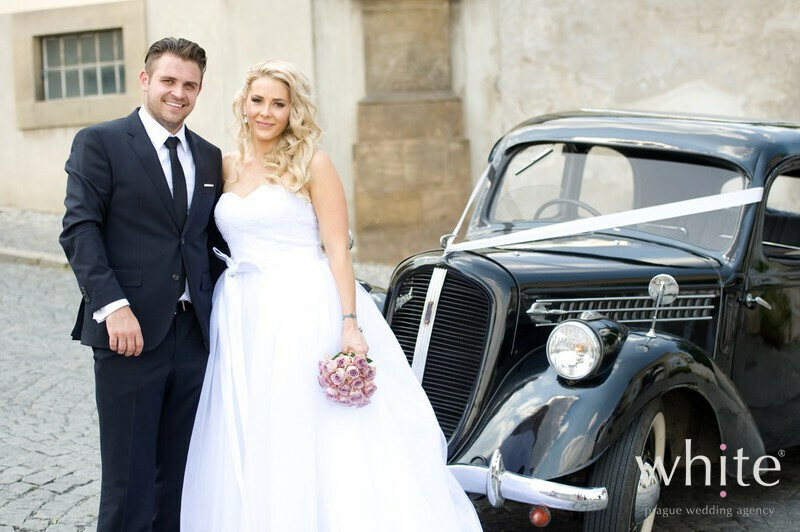 Bride and Groom can choose from a range of vintage and modern luxury cars – from golden Bentley or our favourite Rolls Royce.. to a Czech classic - vintage car Tatra. 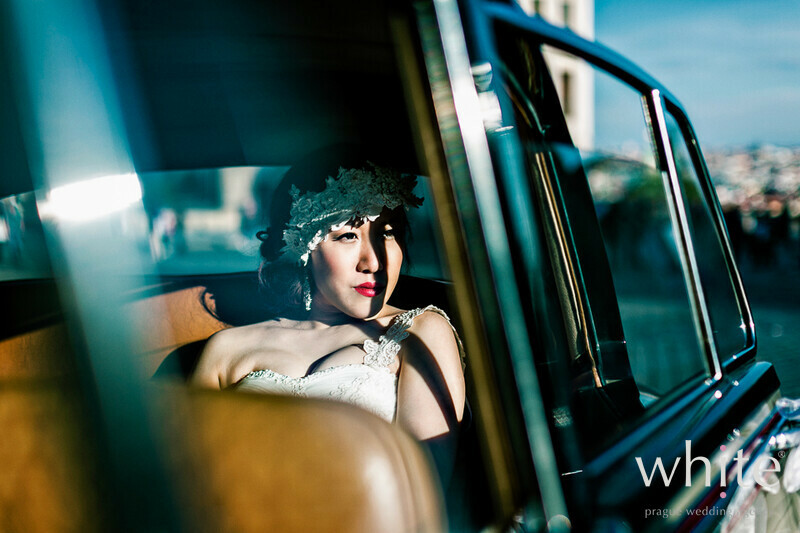 If you love open roof vintage cars but worry about your hair style being destroyed or possible rain – don’t – the roof can be closed and the vintage cars never go very fast. 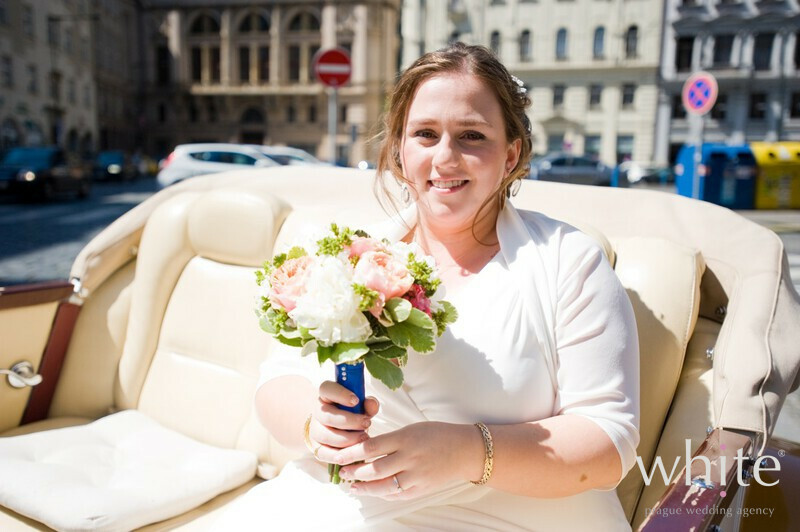 Do you prefer modern ways and wish to have your Bridesmaids in the car with you – stretched Lincoln limo where you can sip on bubbles on the way to the ceremony is the right one for you. 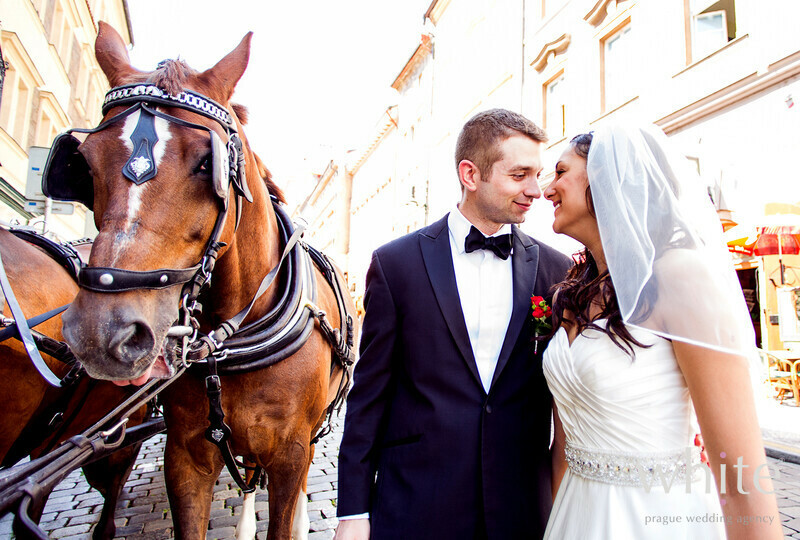 If you are romantic and want to feel like a princess on your wedding day, we can arrange horse and carriage to wait for you after your ceremony – and you will have amazing photos too. 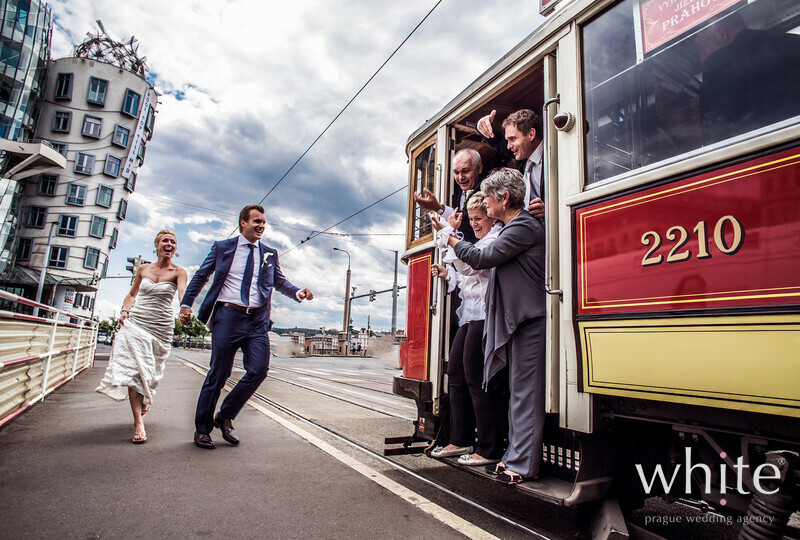 If there is a need to transport your wedding guests to or between the wedding venues, it’s easy. First of all, don’t worry. 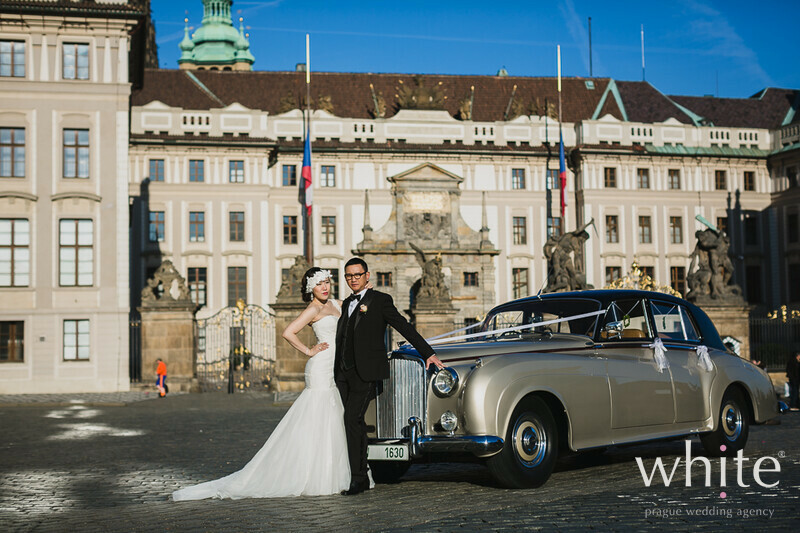 Prague is a relatively small city and the journey will never take long even if the ceremony and reception venues are not near each other. 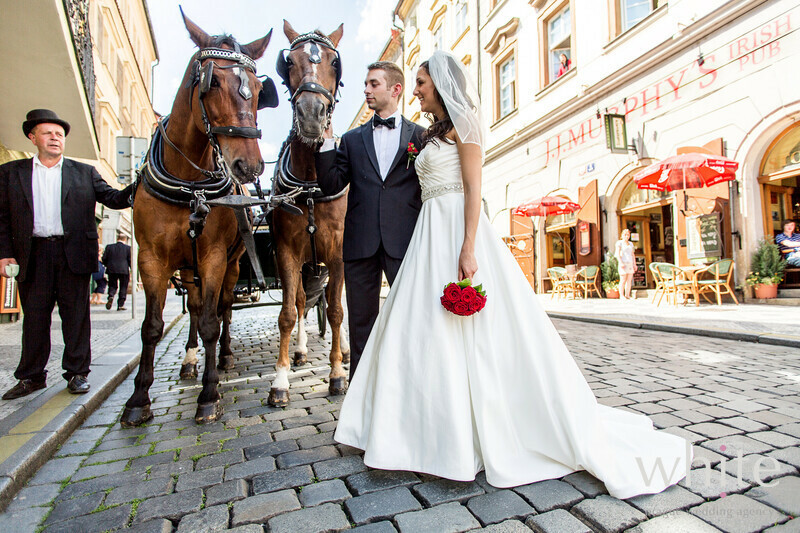 So when selecting your wedding venue, do not limit yourself by choosing „all in one Prague venue“. If you have older guests or lot of small kids, the mentioned minibuses are the best solution. 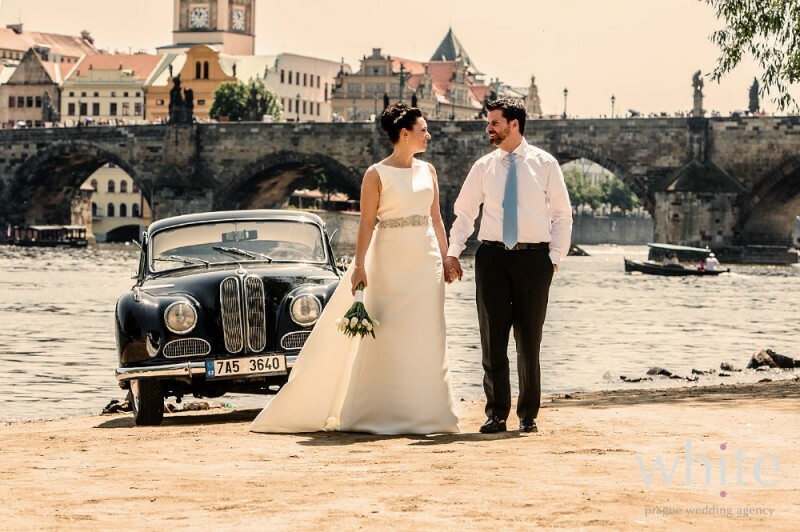 We always arrange several smaller white or silver minibuses instead of one big bus – first of all, smaller buses get into all little curved streets of Prague and – it looks more stylish too (you limit the „school trip look“:-). 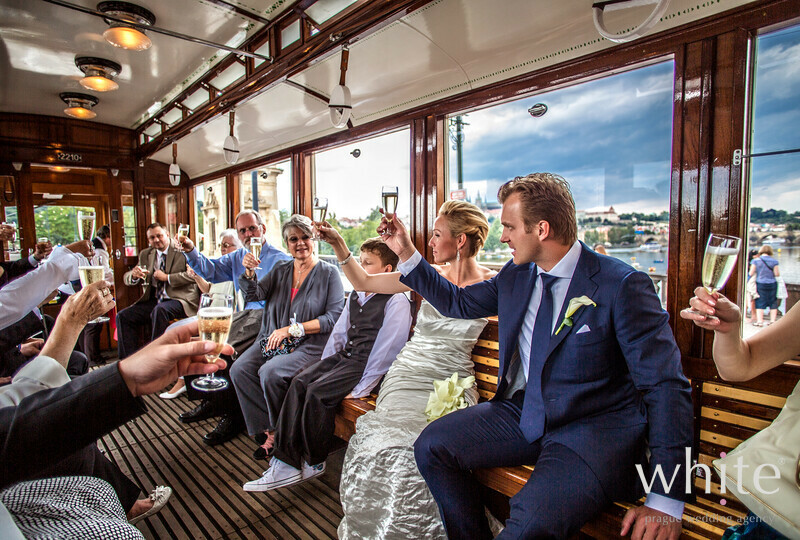 If you wish to transport and entertain your guests in one, we highly recommend a vintage tram ride. 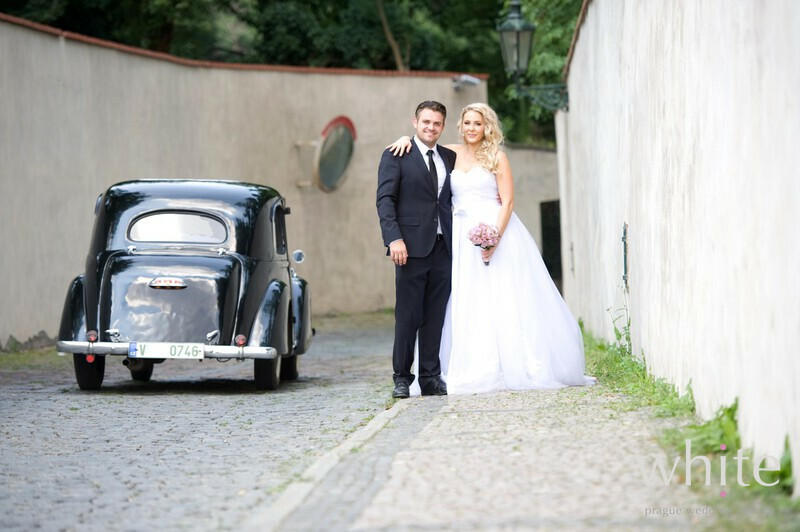 If there are tram lines near your wedding venues (and trust us, tram lines are pretty much everywhere in Prague), this is one of the best things you can prepare for your guests. 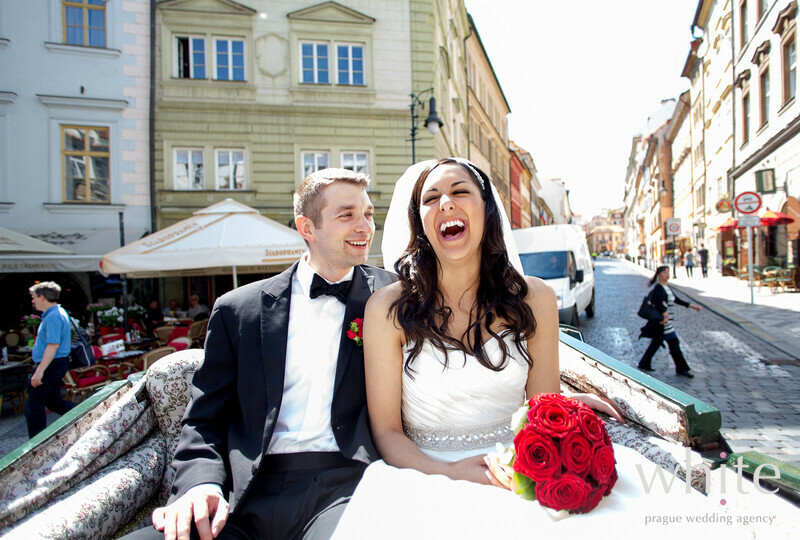 It’s different, it’s fun, very „Prague like“ and you can have drinks and music on board too. Your guests will love it. 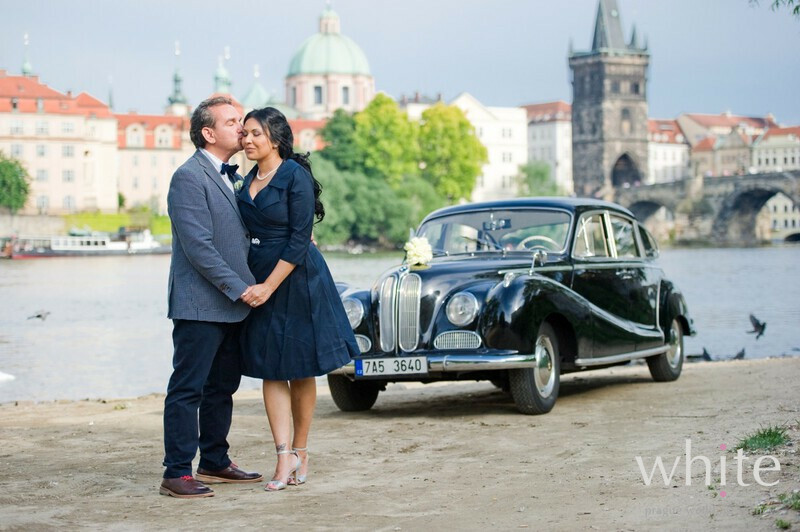 Also, the tram always goes along the Prague famous sights so your guests get to see the monuments too. 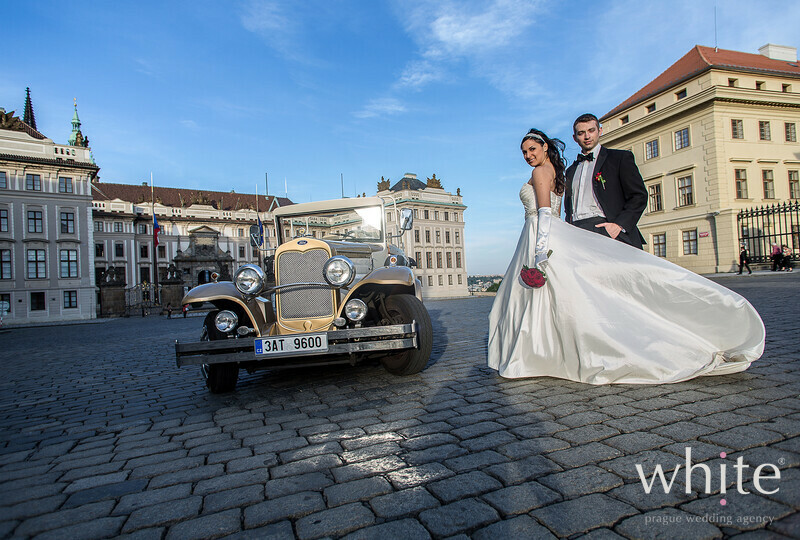 There are many options and we will always help you to select cars and transport that is not only most convenient based on the locations of your wedding venues but also that matches the style and colours of your wedding. 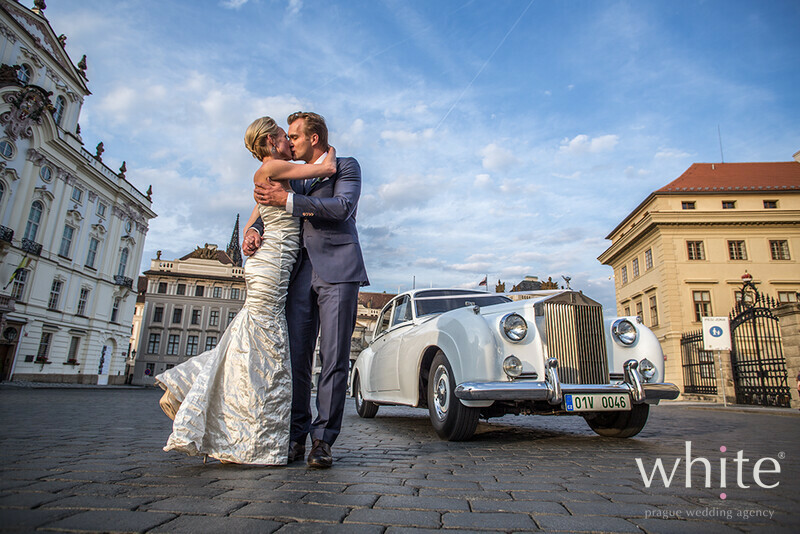 So, despite the journey is certainly not the goal on your wedding day, it can still be a memorable part of it. Photo courtesy: M. Duchek, L. Konarik, G. Hlobil.